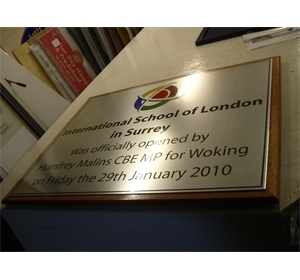 Supplied complete with fixings kit. Can be fitted to walls, railings or fences, or supplied with a hardwood post. 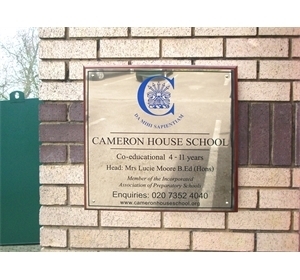 Designed to be used both indoors or outside. 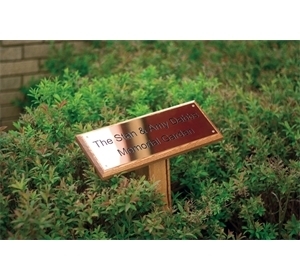 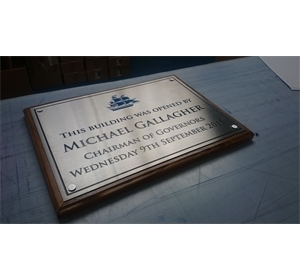 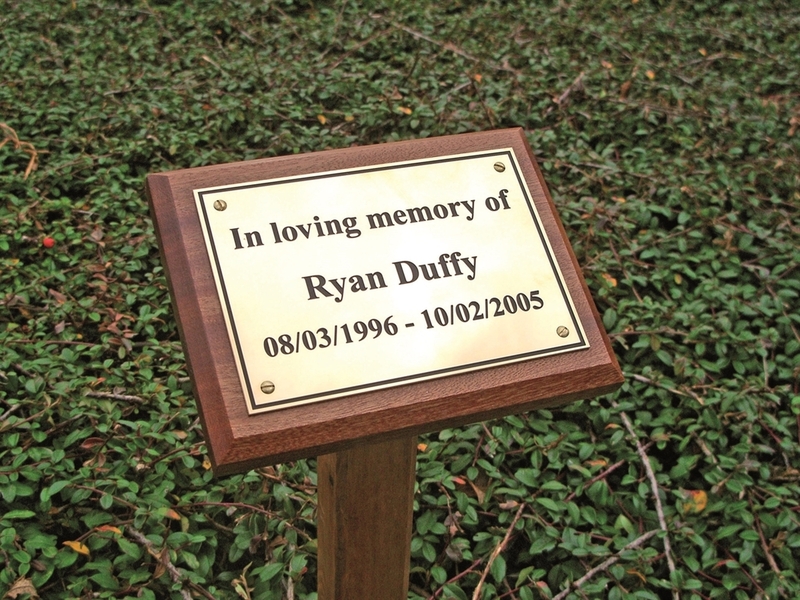 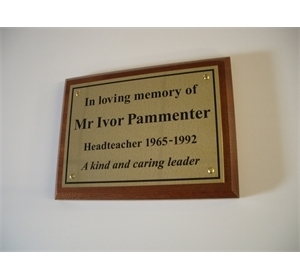 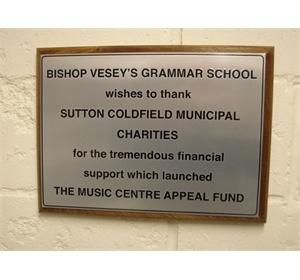 Plaques can be made in polished Brass, Aluminium, Stainless Steel, polished Acrylic or cast Aluminium. 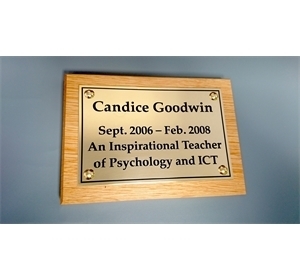 Engraved with coloured text and logo, printed or moulded from polyurethane. 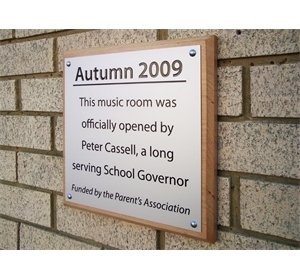 They are available with a hardwood backboard or mounted using stand-off aluminium mounts or screw fixings.